Can you believe that the football season is already almost half over? Is it going the way you expected? What has been the biggest surprise so far? It’s not easy to predict the winner of all 256 regular-season NFL games – let alone the spirited matchups in the arguably more volatile college football season. It’s even harder to forecast score spreads, the total score for the game, or who will win the championship at the end of the season. And yet these are exactly the types of things on which people place bets. For most people, sports betting and gambling in general are enjoyable and occasional forms of entertainment. But for some, gambling can become an uncontrollable urge and a downward spiral. You may consider setting up a betting pool with your coworkers, friends, or family in the name of fun or camaraderie. Despite your good intentions, this presents a tough challenge for someone who is struggling with gambling addiction or may be in recovery for gambling disorder. It isn’t always obvious when someone has a gambling problem, as there are no physical symptoms as with substance abuse. That’s why it’s called the Hidden Addiction. You don’t have to wager hundreds or thousands to feed the addiction. Even small bets use the same mental mechanisms that led to the gambling problem. So for someone in your group who suffers from problem gambling, the offer of joining a betting pool risks much more than the wager itself. It could be the tipping point for someone at risk for disordered gambling or trigger a relapse for someone in recovery, undoing months or years of work and therapy. That being said, the FCCG strongly recommends skipping betting pools. Watching football or any sport should be fun for everyone, so let’s keep it that way! 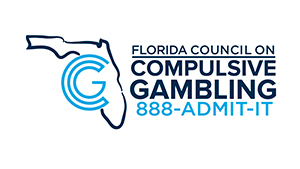 If you or someone you know is suffering from a gambling problem, call Florida’s 24/7, confidential, and multilingual Problem Gambling HelpLine, 888-ADMIT-IT. Visit the FCCG’s official website at gamblinghelp.org to learn more. PREVIOUS POST ← Speak Out Against Domestic Violence!